Without understanding key SEO metrics, online entrepreneurs will lose out in the battle to be Number One on Google. In this article, we delve into the 6 overlooked SEO metrics that could prove to be the secret sauce you need to steer your online business to the top. Jeff Bezos was recently confirmed as one of the world’s richest entrepreneurs. The Amazon founder’s personal wealth has now eclipsed Bill Gates’. Bezos is a man who knows how to grow a business. He’s a man who is obsessed with metrics. He’s also a man who feels that metrics define your success in corporate culture, and that everyone involved in a particular company must grapple with them, from the CEO to the SEO guys and girls. They are the not-actually-so-secret-but-criminally-underused tool that give business owners powerful insights into the health of their business. And Bezos knows that anything that can be measured should be measured. Where metrics are concerned, the more you know, the more you grow. “I know all about metrics,” you might protest. Many of us do. But too many of us are focused only on the popular metrics that touch the surface, such as site visitors. Site visitors as a metric tells you very little. It doesn’t tell you which keywords are converting and which ones aren’t. Understanding your SEO metrics is as crucial for growth as understanding a compass was for seafaring sailors way back in medieval times. Without a compass, sailors looking for India might have stumbled on Iceland. The choppy seas would have been much harder to navigate, their destinations always never reached. Navigating endless seas without a compass is dumb. Think of SEO metrics as your guiding compass that will light up your online marketing campaigns so that you’re not lost in the darkness. They will also orchestrate growth. Chances are, you’ll be ranking for more than one keyword. But that’s not all: you’ll also be ranking for more than one segment. With the help of a good SEO tracking tool, it should be easy to breakdown your keywords into segments. Doing so makes it a lot easier to check their average ranking and tweak your campaigns accordingly. For example, if you run an eCommerce store, you’ll be ranking for product keywords and category keywords. When you break down your keywords into segments like this, you get a much better understanding how each specific segment is performing. Then, you can make any necessary changes. This is essential stuff because you need to know which keyword segments are performing better than others. This enables you to know what needs tweaking and what’s already growing your online business. You should also check on the adjusted average rank of your keywords. What this means is that each non-ranking keyword is ranked the lowest on the scale in the calculation (so the average rank is not misleading because it includes the effect of non-ranking keywords). 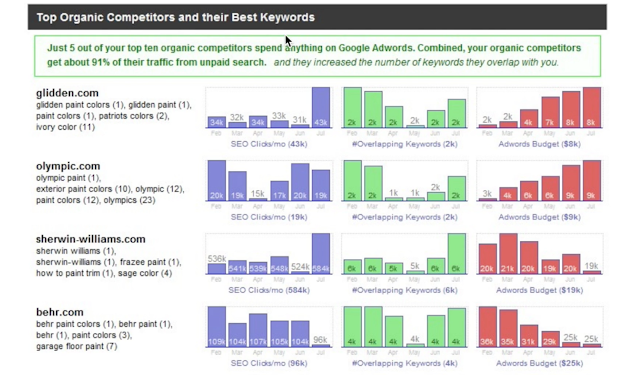 Once you’ve checked your average ranking on segments, you should then compare your keyword rankings with your rivals. This is an important metric. Unless you go head-to-head with your rivals on each segment, you simply won’t understand how well your campaign is performing in relation to everyone else. There are quite a few tools that help you do this, SpyFu being one of them. SpyFu is a dedicated “spy” tool that lets you check what your rivals are doing when it comes to keyword usage - ergo, the keywords they’re using, how well they are ranking, and so on. This is powerful information to possess. There is an excellent reason for spying on your competitors. If your competitors are outperforming you, why not reverse engineer their tactics? Unless you do, you will find yourself constantly outperformed. When you first launch your site, Google might sandbox you. Google knows you’re a new site and wants to take a bit of time to make sure you’re totally legit - allegedly. Not even an SEO expert can tell you exactly why Google chooses to sandbox some websites and not others. But when they do sandbox your site, you’ll notice it. You’ll be stuck in the “sandbox” of pages 8, 9, 10 and so on for weeks/months/indefinitely. In other words, you just won’t be moving regardless of how well you think you’re doing with your SEO efforts. However, fear not. Your site will start to climb up the rankings eventually. 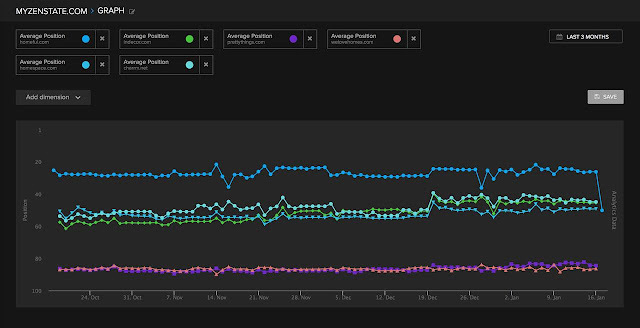 And because you’ll be using a few keywords, it’s a good idea to check your keyword distribution to see which keywords are shooting up the rankings, which ones are stable, and which ones are dropping like stones. Keywords tend to fluctuate, but the best indicator of your site’s health are keywords that are stable or going up the rankings. Stay on top of them by measuring this metric. Not all of your keywords will rank, at least not immediately. But once your website has been live for a few weeks, you should start to see some results. Keep an eye on the total number of ranked keywords in search engines. If they are steadily going up, it’s a sign that your SEO efforts are going well. If on the other hand, you have only a handful - or zero - keywords ranking, it’s time to rethink your campaign. It’s the same if they’re not moving up the rankings. Ever noticed a page of yours go missing from Google? 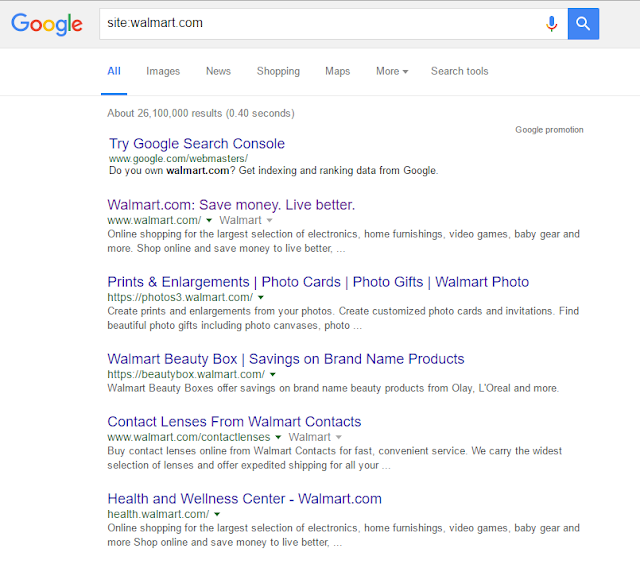 When a website has been indexed, it shows up on Google. If a specific page isn’t indexed, it won’t show up in search results. When you first launch your website, Google will index its pages. From then on, it will index any additional pages you add. Alarmingly, though, it sometimes removes pages from its search index - and thus also its search results. When the number of indexed pages stays the same or goes steadily up, it’s a strong sign that your SEO campaign is healthy and that Google hasn’t removed anything. Conversely, if the number goes down, your SEO campaign is critical and needs some attention. The last thing you need is for Google to start removing your pages because of some silly mistake on your part. Unless you track this metric, you could be losing pages from search results without even realizing it. 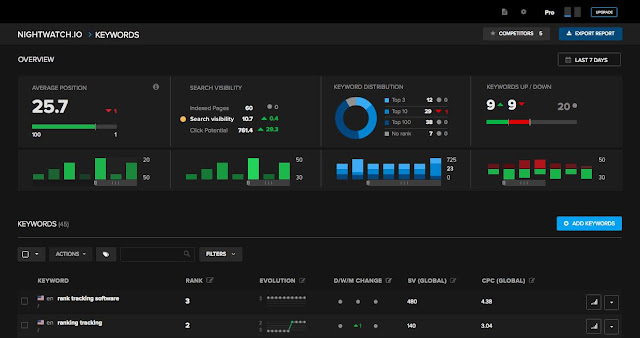 Search visibility is another essential metric that often gets overlooked. It shows you how much potential a keyword has when it comes to converting traffic - which is, of course, the end goal of all keywords campaigns. Search visibility measures how much potential conversion traffic a keyword has based on its ranking. If your keyword is ranking at number one, it’s essentially a magnet that’s probably going to gobble up all the traffic. Excellent. Keywords that are ranking much lower, on the other hand, naturally result in fewer conversions. Click potential, meanwhile, refers to the forecast number of clicks you can expect to receive based on your present rankings and the search volume for each keyword. If both these metrics are on the up and up, it’s great news for your SEO campaign and the growth of your business. SEO metrics are not that hard to get to grips with. For whatever reason, the six covered in this article continue to be overlooked by a number of online businesses. If you start to check these metrics on a regular basis, they could become your new secret weapon that boosts the growth and success of your online business. Just remember, if your metrics are looking good, the growth of your business is looking good. However, you need to know this information first. Got any tips you’d like to add? Discuss and share to help online businesses ace it on Google. How to Get a High Paying PPC Job?